Discussion in 'Creative Archive' started by Doubled, Jul 14, 2010. Hi everybody I'm not exactly "Michaelangelo" when it comes to art, and I'm definately no Game Freak, but I think I may have discovered a new passion.... Splicing ....and stuff. This will be a topic filled with some sprites I made, spliced, or simply updated. So since the rules say I need to post rules, here's some Rules. 1. I don't take request. Trust me, I'm not that good. I'm ametuer at best. 2. Critique is requested. I know they aren't perfect, so I'll be glad to hear your proffessional oppinions. 3. No flaming. Please, I, like many people, don't like being told we're "peices of fodder who need to rot in a mud pit" (Yes, this was actually a quote I received on my DeviantArt page one time, well, slightly censored). And please don't flame others if you don't agree with them. 4. Please comment. I may have requested critique, but that doesn't mean I don't want comments like "These are good". I just want them to actually be comments, not spam. And that should do it. For now, I have 2 splices I have made today. This is the first splice I ever made. This is a creation I like to call: Veneon. It evolves from Eevee when it is stung by a Waptus Needle bush (made up). Veneon has 7 eyes, each lined with a protective film to help it see through sandstorms. It's tail has enough poison to bring down a Snorlax, but it usually only uses enough to bring down a Magikarp, which is very little. Its eyes also help see in the dark. Despite its look, it is usually a very peaceful creature and wouldm't harm a soul unless they do it harm. Gnateon are usually made when Eevee eat Vespiquen honey. It has genes of several bugs and that of a mammal as well. It's wings are almost transparent, but they are strong enough to support Gnateon's weight and another passenger. It helps pollinate for other bug types. Its eyes allow it to see normally and heat vision. They're alright, I'm sure that as you continue doing them, they will improve. Good start. Worked on these last night. These are all the same trainer, just different outfits. Okay, I've been working on my trainer sprites, so here's three...of the same guy XP And there's a little story behind each one. The sprite of Diego with Red's body: In my little fan fic, Diego (at the ages of 10 and 11) wanted nothing more than to be just like Red, so he practically dressef like him. It wasn't until Keel snapped him out of it that he stopped, and finally did things his way. Yeah, this one was the cheapest. Honestly all I did was put Diego's head on Red's body and move the arm up. The one with the green vest: Diego changed into this after his confrontation with Red, as his clothes were badly torn from the chaos erupting from that mountain. I sorta based the clothes off of some fashion I see on tv, then I used a ranger sprite for the base. The one in the middle: This was the outfit Diego was wearing when he climbed Mt. 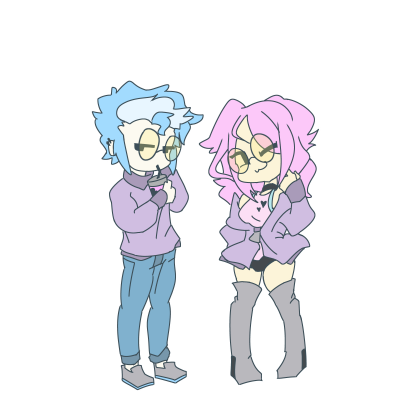 Silver Since the mountain is extremely cold, I designed a jacket for him. In the end, Diego did lose that fight, 3 to one to be exact. I used a Palmer sprite and edited it to look like this. Okay. Lemme know what you think. I know the Red costume looks bad, but the other two I think I did good on. Thank you both for your input. And thank you Turbo for advice. That little piece of advice does go a long way I asure you. I'd figure I'd save a pixel or two if I just made a team portrait with my 2010 version of Diego. 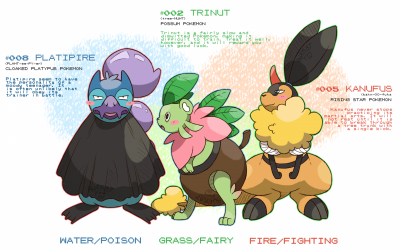 Here you see the pokemon in his team. Another portrait. This features Diego's design when (in my mind) midway in his journey he went sailing with Hoenn Elite 4 Drake. Basically, the team was still in their middle forms, but they were also getting stronger from training with the crew. I'll get to other sprites soon. Here's some more. And their different! Oh, and their bios will be posted in the Mainstream RP Char thing. Basically I recolored and slightly edited a HGSS Silver sprite. I also put one of his pokemon next to him. Okay, from Left to right, its Ace, Diana, and Ollette. I mixed and matched and recolored sprites til I got this. Okay, I've posted most of the characters, so since I'm doing a story on the Sevii Islands in the General Writings section, I'd figure I'd make a trainer card. I know, bad quality. My computer effed it up after I worked so hard on it. Anyway, the things you see here (besides Diego) are a direct gift from google (except the sprites. That came from good ol' 'Charms ). Yes I know it has 8 badges insted of seven, considering the pokemon are younger, well if you remember, Johto did have level 40 as one of the toughest gyms. Not bad by comparison if you ask me. Nother one I've worked on tonight is my own Vs Mugshot. It may be a little over the top, but it still looks cool to me. I would've found a way to make the white transparent if I could, but my stupid computer won't let me. Anywho, here. Tell me what you think. I know it's not that good, but it would help to know what to improve on. And this is another team shot, this time ft. Diego's rival (Keel thinks arch rival), Keel. I used one of Lance's movement sprites to make it. Edit: I don't wanna double post in one day, so I'll just put it in here and hope someone sees it. Okay, I got a little tired of how the male Loppunies have it rough being mistooken for a boy all the time, so I made a Bunneary alternate evo, Buninjump. I made it using parts from Lopunny, Infernape, Gallade, and Dusclops, along with paint. Buninjump's name is derived from Bunny, Ninja, and Jump. Type: Normal/Fighting or Dark/Fighting. not sure what to go with. Info: Buninjump are born when a male Lopunny goes through intense training while holding a black belt and by learning Mach Punch. They are very protective of their comrades, so much so that they will stalk them in the trees to gain surprise on unsuspecting enemies. They are known for punching at the speed of sound and running super fast without making a sound. I tried a partner shot, this one of 14 year old Diego and Eevee, not the best but still cool. But I think I did better with Ace and Aipom. Thanks Nim I'm looking into it right now. Update: Photo Editor successfully installed, turning all posted pictures transparent. And now, I introduce to you an idea I've had for a pokemon a long, long time. The snow wolf pokemon, Frozark. Pokedex entry: Frozark tend to roam in snowy regions where theres not much competition for food, but if they have to they can summon a snow storm. They tend to roam in packs, so they don't really like being alone, so they are extremely loyal to their trainer. In the old times, Frozark were used to deliver messeges, medicine, or locate lost people in the snow. It's said that anywhere a pack of 20 or more Frozark howl, it'll snow for 100 years. I have to say, this by far my favorite splice so far. And now, another fake Eeveelution, the Dragon cat, Draxeon. ability: Drago Heart: The user powers up if any comrade falls before him. Info: Draxeon evolve from Eevee when exposed to 10 Dragon battles in which he successfully wins. The younger the Eevee the stronger the Draxeon. IT takes great pride in the accomplishment of defeating that many dragons, so it may act snobbish. It has a heart of a leader, and will not leave a man behind in battle. They say that this pokemon sat by Arceus during the creation of the other Eeveelutions. I have to say, I kinda rushed on this, it only took me 45 minutes. I really hope, if they do introduce one, that the Dragon Eeveelution will look better than this. And now, I dub thee, the happiest sprite I've made so far (and by far the cutest), Preevee, the preevolution Pokemon. Evolves into Eevee when it has reached lvl 10. Now, on to a further comment, basically what I mean by its evo path being affected is this: When Preevee are exposed to other pokemon, even then they are being exposed to elements they aren't used to. So, keep it with, let's say, a bunch of water types, It'll do better than it would had it been born an Eevee and just evolve then. I guess I'll post something else I worked on when I got bored. Toby with his team. He's younger in this team, so I'll get working on "current sprites". Older Toby's team. No, that's not a bow, its one of those red thingy's that shows annoyance. I also changed the sprites a little, guess what changes! And here's Drake's crew from my Sevii Island story. and now, Team shots. Gerald doesn't have any pokemon, so he doesn't have a team shot. This is Team Sarah. I kinda enjoyed making her team, which is weird 0_0 I also tried making Onix to porportion, so hopefully it looks good. I tried to make Sarah seem like a Badass sassy girl, so maybe I captured her personality. And here's Team Jack. I really only wanted to put in a few pokemon, and a surprise. So, tell me what you think more on the way. I made team shots for Ace, Diana, and Ollette, mind you that they;re the older chars. Here's Team Diana, a team made of mostly cute pokemon. And here's Team Ollette. I made Lapras larger, and FYI, Hitmontop and Altaria are the only guys on the team. Team Ace in all it's disfunctional glory. I made Walord and Aerodactyl bigger. I decided to make a gang shot because these 5 are best friends in my fictional Pokemon world, and since their usually backing eachother up, I put them together They're also called "Rascally" because of the evil teams they defeat and of the antics each individual gets into. I know that the bigger pokemon don't look as good, but I tried to make the bigger pokemon seem bigger (even though I know Wailord is waaaay bigger than that.). Okay, here's Oreck in his less than fashionable 2010 design. His team has been updated since I last drew him. Ok. Some of these designs are really creative, but there are a few issues. Some of the faces are a bit distorted and hard to recognise. Some of the others, in contrast, are very good and the expressions are great! Also, there are a few shading and line thickness issues, but nothing major. Apart from that, these are some really original and professional sprites. Sorry for the late reply Toastie but thank you for your comment I'm learning as I go, so hopefully I'll get it eventually. Probably the hardest to make. THe easiest. And now a sprite comic, sorta. Okay, I got bored, so I made a sprite comic. No, I wasn't lazy (entirely), if you read, you'll see. and I made this from Unown sprites. This will be at the very first page. It says: Doubled's Pokemon Sprites. Edit: I made something else too. Okay, I sorta had an idea for a fanfic of mine where in a distant future, Pokemon would turn into weapons people could use in battle, so I made 6 weapons using 6 different Pokemon. Basically, the pokemon would grow as normal, only the humans also participate in battle. As the level increases, the Pokemon can evolve as normal. This also changes the weapon form as well. Each person could have up to six pokemon each, but the battle would end once the human's HP hit zero, versus the norm. Some pokemon may have a weapon form, which depends on their stats. As weapons, each Pokemon has increased defense, which helps as the clashing insues, but they can also use their normal moves when asked to by the human. Just like in normal Pokemon, the weapons have Legendaries too, only they're not as hard to come by. In my fanfic, the one who becomes the strongest shall face Arceus in Human and Weapon form. This was going to be a fanfic, but I realized that it sounded too much like Soul Eater, so I may or may not go too much into it. Aerodactyl, when transformed, turns into the Aeroblades, which, as most flying types do, turns him into two separate blades. He can use a variety of attacks, and even fly in this form, but will still fall if stricken by Electricity. Herracross turns into the Herrashovel, which turns him into a powerful, sword-like weapon that can crush boulders. As a part fighting type, it is extremely bulky, and can inflict major damage, but as a mainly bug type, it is balanced with it's light weightedness. It can hold its own well in battle, but will fall if encountered by a Moltres-like weapon. Kabutops turns into two separate blades, despite it not being a flying type. Kabutops are very valued in terms of fighting as their blades can crush rocks and summon tidal waves. The downside is that it takes more effort to control him in this form. Pikachu turns into a Pikablade, which is a very powerful weapon. Pikablades are quite common in the Pokemon Weapons world, as they are easy to handle, lift, and control. They are also quite powerful, being able to harden their blade quite fast, and the fact that since they are electric type, that mean means they make the weilder super fast. They can also strike from a distance with electricity with a singal swipe of the blade. It's strongest attack is Volt Tackle. Scyther turns into a blade similar to the KabuBlades, however ScyBlades are much lighter than normal blades, being both bug and flying type. It can easily shatter boulders and can be used to block attacks, however it is extremely hard to handle, as the weilder can become engrossed with power quite easily. Seviper is one if my favorites, as I based it off of Zangetsu from Bleach. As a weapon, Seviper is the most deadly in terms of pain, as both the blade and the cloth at the bottom are laced with poison. It is extremely bulky, making it extremely hard to handle, but it can easily overtake normal blades. As the most poisonous, it can easily poison the user, so it is advised to not use it for more than fifteen minutes, as then the user himself will be poisoned. As a weapon, Pokemon tend to be looked upon as such, instead of partners as the old days, and as such tend to be more violent. Once you reach level 100, however, if a bond is present between the human and weapon, they will unlock a form that rivals even the powers of Arceus. Okay, since technically I'm submitting this today but it says I'm submitting this tommorrow, I'll be submitting this now. Okay, I was searching teh internetz of ausumness, and found an ausome site http://www.spriters-resource.com/search/?q=pokemon&g=1 They have almost everything for a spriter, so I can finally go to one particular place without a problem. Literally a battle of good vs. evil (sorta), so here's hoping one day I'll become a msater of flash and get a cool animation going. Okay, here's Team Luther. I tried to give him a badass team, while at the same time keeping it sophisticated. Well, I generally post things on my Devianart page before posting on here. Or you can just post it on photo bucket. When I post it, I first copy the URL thingy from my submition, you can do this by looking at its properties, I then come on to this website, press the image button, and then paste the URL in between that image selection. Do it right and you should have pictures on here. Sorry I wasn't clear. I meant what do you use to create your art? Oooh. I just use paint dude but I also use sprites off the internet. But if you want to make pictures transparent, then you'll have to download Photo Editor. You can also go to that link I put in my last submission and get all the sprite sheets you'll need. Other than that, it's just paint ;D so, copy and paste away!!!! I used a Lucas (Platinum sprite) and a Silver (HGSS) head to make him. I also used Tiny-chu from my previous submition, so I got this 8D not the best, I agree, but still better than using an oversized sprite. And here's Team Derick. His team consist of regular pokemon from the Darco region, and since I made the tiny pikachu, I thought I'd use it. Okay, according to the rules, I can still post in a topic if it hasn't been 60 days, so here's a project I've been working on. THis was a request from my DeviantArt page featured in my sig. It's a revamped Brendan (with a touch of my creativity), and since I had a fan char based off of Brendan, why not base this off of him? So technically, this is Dante. Yes, the hair is meant to be that spiky. I know it's not that good, but I've been working on this for a while. If you want, you may use them, just give credit. Oh, and so this isn't considered spam, I'll post something I did in-between this. I mainly did these to snap myself out of boredom. It roughly took about five minutes each. But it felt so releiving taking a break from my other two projects. Yes, these are recolors, but let's be honest, Everyone has thought of their own custom version of a particular Pokemon. Plus, the Gallade at the end is a character in my PMD fan fic in my head. Wow, nice custom sprite character. ;D Keep on going. Okay, all Eevee fans have thought about Eeveon, so I made my own version. I used Eevee and Umbreon for this. 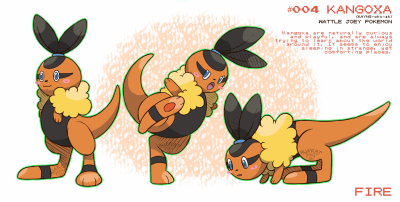 Evolves when Eevee has gained experience from 1 of each type (not Eeveelution specific). Dex entry: It's Dna is finally stabalized, And thus is now able to acces a hidden ability buried deep in its genes. It has the ability to use attacks native to the other Eeveelutions. I know, the design seems kinda average, but I thought I'd give it a go. And here's my first Legendary sprite: Brawleath. Dex entry: It was once a great Brawler, and quite proud of its power. It was foolish, however, as he challenged Arceus to a battle. Arceus was impressed, and decided to give him a second chance. It currently has no recolection of its past. Probably one of my most unique sprites, and maybe my last for a while. I have to start school tommorrow, so I'll be around less often. Sooo~~ I've taken a look at all your sprites! and since you asked for crits I guess I'll have to give some! <- great idea but I think you should change the color palette..the red seems kinda too saturated.